This is an extra strong plastic servo saver from Kimbrough, designed to work with all brands of servos. 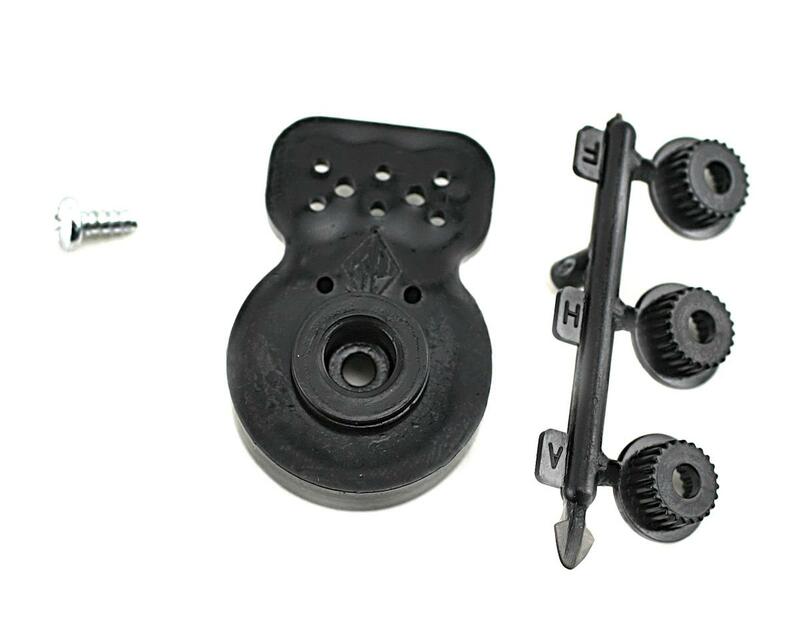 This servo saver comes with a small tree with three different splines on it for adapting the servo saver to work with KO, Airtronics, JR, Futaba, Thunder Tiger and Hitec servos. 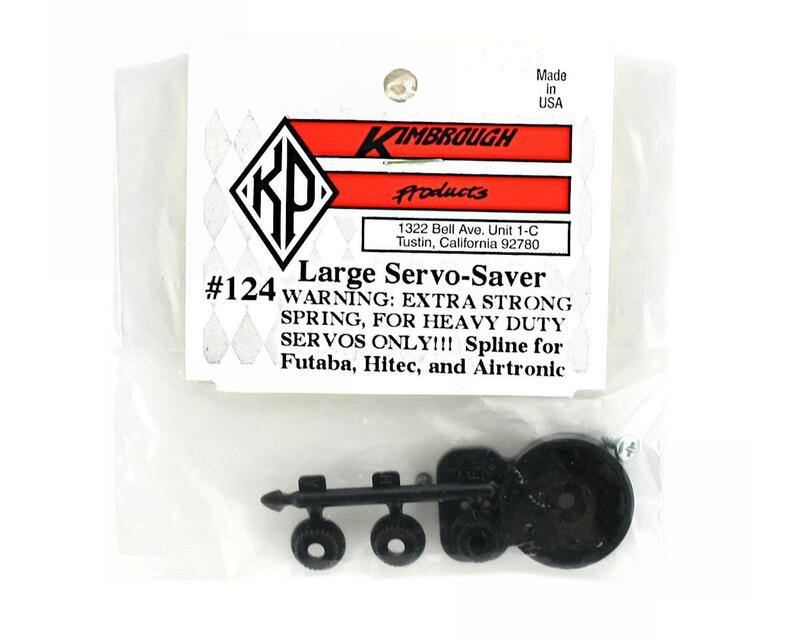 Kimbrough makes some of the best servo horns in the business, and their servo savers are second to none! If you have a high stress application where you do not have an existing servo save, you can use this servo saver to help save the gear of the servo during hard crashes. Great for steering applications on big monster trucks! Great product, recently broke 2 sets of plastic gears in my slashs servo and I replaced them with metal savox gears and then the servo horn stripped so I decided to try this, I had to bore the bottom middle hole to fit the screw and trim off some of the tab so it wouldn't rub the chassis but it was well worth it haven't had a problem since.